Are fingerprints and grime obscuring your view into the digital world? If so, don’t reach for glass cleaner and paper towels. The screens on our cell phones, laptops and flat-screen TVs aren’t like the bathroom mirror or the kitchen window, and we shouldn’t clean them the same way. Instead, these reusable microfiber cloths and sprays are specifically designed for cleaning lenses and screens on electronic devices. After all, we pay a lot for our favorite gadgets and it makes sense to protect the investment. E-cloth fibers can attract and absorb dirt, dust and grease, while the anti-static CleanSafe spray doesn’t contain any alcohol or solvents and won’t damage screen coatings. Best of all, the E-cloths are designed to be reused again and again. Just throw them in the washing machine periodically and they’re good to go. These eco-friendly cleaning marvels are from the same company that created the household cleaning cloths we featured back in November. UK entrepreneur Steve Pearson teamed up with engineer John Park and a group of Korean scientists to create the first E-cloth, which was modeled after microfiber cloths used in Swedish hospitals to clean with water instead of traditional chemical cleaners. Both the microfiber E-cloths and CleanSafe spray are available in a combination screen cleaning pack. 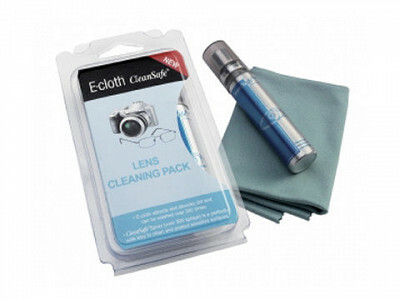 Plus, there’s a lens cleaning pack for eyewear and cameras. We love the idea of cleaning without harsh chemicals – not to mention the appeal of a smear- and smudge-free finish on our favorite electronics. Digital TV has transformed our TV viewing experience. Technology has given us stunning viewing, but these sensitive screens that deliver it must be properly cared for or they’ll be ruined. Hi, I’m Mike Coogan of TADgreen / E-cloth. 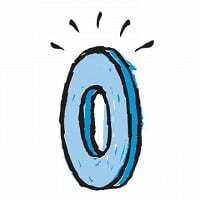 We’re a small company that began changing how people clean for the better in 2008. E-cloth® & CleanSafe® Screen Cleaning Pack is your solution to safely clean and protect your TV and computer screens. We also have a specialized product that cleans and cares for optical lenses…eyeglasses, binoculars and cameras. Today’s screens have intricate surface coatings that enhance our viewing enjoyment (glare reduction, brightness and color improvement) and reduce radiation. You need to be careful because you can easily damage these thin layers by improperly cleaning them. 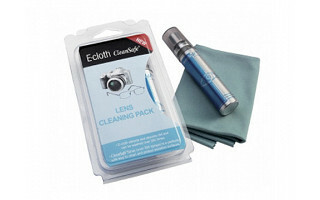 E-cloth teams up with CleanSafe to effectively clean and protect your screens. It’s safe and simple. A light spray of CleanSafe followed by a wipe with E-cloths super-fine texturing removes grime and fingerprints without abrading the surface. Importantly, an anti-static, protective film is added at the same time. I’m standing by for any questions or comments you may have! I had two question, but you answered them in the first 60 seconds of the video. Can I use these on my eye glasses? Will it hurt the protective coating on my eye glasses? I'm going to buy this right now! Perfect. Mike sent us a list of 'Good things to know about E-cloth® & CleanSafe® ..." I thought that I would share them here! • CleanSafe is suited – approved – tested for/on: Acer, Apple, Asus, Compaq, Dell, Eizo, Fujitsu, HP, Iiyama, LG, LG Philips, Medion, Nokia, Panasonic, Philips, Samsung, Sony and Toshiba. Show of hands...who right now is looking at this site through a dirty monitor screen?....Who has ever taken a bottle of Windex to their TV Screen?...That's what I thought! PS - I swear I don't touch my screen - how DOES it get fingerprints on it? Great idea! I was a windex cleaner before this!! Thank you. I learned the hard way about cleaning my flat screen! I always cleaned it very gently using just water and paper towels. One day I noticed a bunch of tiny scratches, so I called their service department. They came out, inspected it and said there's nothing they could do. It was my fault because I didn't clean it properly! I spent over $4,000 on this TV. You'd think the manufacturer would include it with the TV, or at least sell it at Best Buy. @frank - you're right, that doesn't make sense. They are quick to sell you special cables and power boxes, why not the screen cleaner?! @Grace - I know you're not alone! Frank, thanks for sharing you unfortunate story so maybe others are saved from having the same thing happen to them! In doing research I've found that information on cleaning flat screens is both hard to find and confusing. Another problem is that even cleaners that are sold as screen cleaners can do damage, as they may contain alcohol or solvents that slowly but surely damage screens. Reading Frank's comments about spending $4,000 on a flat screen made me think of an E-cloth customer who wrote us about our Screen Cleaning Pack. He said when he bought it he thought it was "expensive." He marveled how wrong he was after using it, realizing it was really a small price to pay to care for his very expensive TV. Wow! I’m impressed. I’m a mother with young children and I’ve always been concerned about cleaning things they come in contact with (which is everything!). I only need to clean my TV screens about once a month, do you make sprays and cloths for things I clean every day, like my counters and appliances? Hi Robin, You're very wise to be concerned about chemical household cleaners! Most consumers think that if it's on the supermarket shelf it must have been tested to be safe. Unfortunately that's not always true. We do make chemical-free cleaning products for pretty much everywhere you clean. The Daily Grommet offers a variety of them: Glass & Polishing Cloth, Stainless Steel Pack, Bathroom Pack, Kitchen Pack and the Shower Pack. There are no other sprays we offer because all these cloths clean with just water - no chemical residue left behind. With the Screen Cleaning Pack the CleanSafe spray actually adds protection for your screens. Yikes! I think of myself as an educated consumer, but I have to admit that up until now I always cleaned screens with Windex and paper towel, and did think that regular household cleaners were tested. I'll be more careful from now on. Thanks Grommet! @Robin @Stan, we featured the E-cloth cleaning cloths that clean with water only in October. The cloth is multi-faceted and does an amazing job of picking up and taking away dirt and bacteria without the use of chemicals. Here is a link to that feature...you will be amazed with these products! Hi Stan, There was an article this past Monday in the Washington Post that underlines the importance of not trusting what you clean with. The article begins: "Of the 84,000 chemicals in commercial use in the U.S.--from flame retardants in furniture to household cleaners--nearly 20% are secret." This is a result of a 1976 federal provision that exempts public disclosure to protect a company's trade secrets. To address your "but" Stan, all E-cloths are made using an uncommon, advanced fabrication. They clean using this superior fabrication--not by a chemical reaction. We guarantee 100% satisfaction, with no "but"
Don't feel foolish, Maggie. As Katherine said earlier: "You're not alone." Now you know! The nice thing about E-cloth cleaning is that you simply don't take any risks. It's non-toxic, non-allergenic, no skin irritants, no toxic residue, it's unscented, completely safe to use around children and pets. E-cloth cleaning: Just add water. Are fingerprints and grime obscuring your view into the digital world? If so, don’t reach for glass cleaner and paper towels. The screens on our cell phones, laptops and flat-screen TVs aren’t like the bathroom mirror or the kitchen window, and we shouldn’t clean them the same way. Instead, these reusable microfiber cloths and sprays are specifically designed for cleaning lenses and screens on electronic devices. After all, we pay a lot for our favorite gadgets and it makes sense to protect the investment. E-cloth fibers can attract and absorb dirt, dust and grease, while the anti-static CleanSafe spray doesn’t contain any alcohol or solvents and won’t damage screen coatings. Best of all, the E-cloths are designed to be reused again and again. Just throw them in the washing machine periodically and they’re good to go. These eco-friendly cleaning marvels are from the same company that created the household cleaning cloths we featured back in November. UK entrepreneur Steve Pearson teamed up with engineer John Park and a group of Korean scientists to create the first E-cloth, which was modeled after microfiber cloths used in Swedish hospitals to clean with water instead of traditional chemical cleaners.